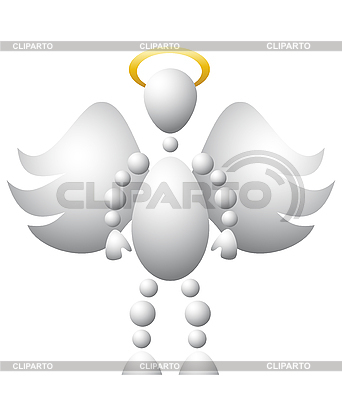 Man as saint angel with wings and golden nimbus. Abstract 3d-human series from balls. Variant of white isolated on white background. A fully editable vector illustration for your design.